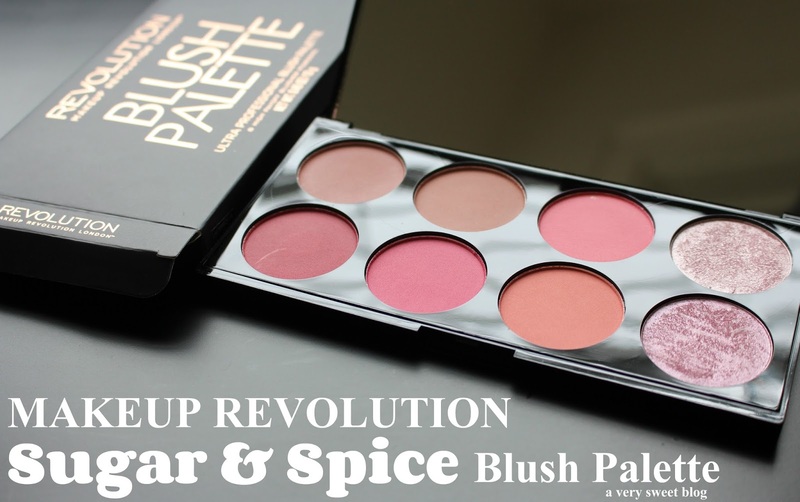 This Makeup Revolution Sugar & Spice Blush Palette threw me for a LOOPTY-LOOP! How do I feel about it? I HATE IT. The colors looked so pretty & calm in the palette! They give you 1 shimmer blush, 5 matte and 2 baked blushes. When I went to swatch them, they were either SUPER LOUD, CLOWNISH-LOOKING, NON-EXISTENT or TOO FROSTY/ICY. Do you know what I mean? I believe in pigmentation, but these are over the top...BIG TOP...THINK CIRCUS! I did try them on my cheeks (even with a light hand) and it just got worse. So I will not be showing you those pictures. Sorry! Not Sorry! LOL ULTA just started carrying Makeup Revolution products! I've had some success with this British makeup brand in the past (see here), but I can see some of their products are very hit or miss. This palette is only $10 at ULTA but trust me, you can do way better! I hate to end Girls Just Want To Have Fun Week on a sour note, so let's not! WE HAVE A GIVEAWAY WINNER! Alina Conn (USA) is the winner of the Dandi Creations Giveaway! Congratulations Alina! I've sent you an email :) Enjoy your bath goodies! I'll be around to everyone's blog soon! I'm currently tracking down Covergirl's Star Wars Makeup Collection & Beyond Cosmetics (Korean Brand) NEW Alice in Wonderland Disney Collection. The life of a makeup collector :) Have a great weekend everybody! Wow, the colors look so pretty in the case, but boy they are VERY LOUD! Thanks for sharing. The shades look so promising and sweet in the palette. What a shame that the formulation is just way off. I guess there is such a thing as too highly pigmented. Thanks for testing this one out and warning us about it Kim! Enjoy your long weekend! Love those shades very pigmented great review. Enjoy your labor day doll. Oh man, Kim, these shades look just like what I envision when I think of an elderly lady with smudgy lipstick and overdone blush. Way over the top and just not good at all! I'm going to be steering clear of Make-Up Revolution cheek products now. Hi Kim, sorry to hear about this blush palette. Thanks for warning us about it and the review. Awww the colors look so pretty in the pan. The first two swatches from the top row look nice, but wow on those colors on the bottom row. That is crazy pigment screaming clown cheeks. I haven't tried anything from this brand, but I'll have to check my ulta to see if they are carrying it because I've been curious!! And oooo I can't wait to the Alice in wonderland collection! Omg!! Some of the colors are super loud, indeed!! Thanks for sharing your experience with us, Kim!! Wow they do look very loud, even on your hand! They are so bright! What a shame as they look so lovely in the packaging, like you said! Wow thanks for this! Cause it looks absolutely gorgeous in the palette and some of it look pretty chalky when you swatch it! Never thought it would look like that, hope you could check out my blog and follow me on the blog! its a shame that you didn't get along with this palette. I really like it although I do need to use a very lightweight brush and an extremely light hand. I will admit - The colours are much crazier when swatched compared to what they look like in the pan! I see what you mean! These colors look wrong for every skin tone. Yikes, I can't imagine this looking very flattering...aha, good review Kim! you're right! that pink is too loud and the other are either icy or not very visible. I don't blame you for showing these swatches only on your hand, I can imagine you wanted to take them right on. Well, we never know until we try and you cetrtainly saved us the effort of trying this one. Congrats to the winner of the giveaway! I couldn't imagine these had such a poor result. What a shame. Even if they are only 10 if they don't woth it, is useless. Yes those colors are quite saturated for blush. I could possibly see the third color uses in a striking high fashion editorial that is meant to get your attention but for the every day gal on the street, not so much. ooo I really like this palette! mixing and maxing colors looks like a breeze! That's too about the pigmentation! Thanks for always giving an honest review! Colors are very saturated. I love a girlie blush, but one that looks natural. They do look pretty in the palette, too bad that they didn't work out. Thanks for the honest review. I was checking out the Star Wars stuff recently and didn't see any of the makeup either. That stuff went quick. that was my first reaction, that they looked too loud and pinkish for me. but those frosty ones look like they might be great for a little hilighting?? Yikes! Loud and clownish! Too bad they didn't turn out so well! So effing pretty!! I do love anything PINK! !